Art is everywhere at Hotel Villa le Barone with 18th and 19th century paintings and authentic furniture in the lounges and bedrooms. But this year one of the lounges is transformed into Art Gallery with the exhibition of Arno Boueilh until August 30, 2018. 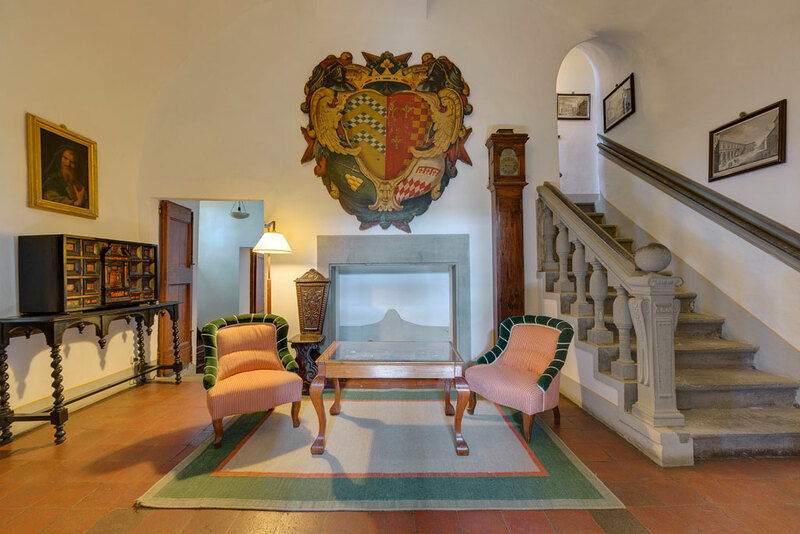 Whether in the rooms or in the lounges, the hosts of Villa le Barone, who has kept the charm of a family home, are indeed surrounded by portraits of ancestors, original paintings of the 18th and 19th centuries, and others This is a unique place to stay … The landscapes of Chianti around the Villa are also real paintings, which inspired so many painters! 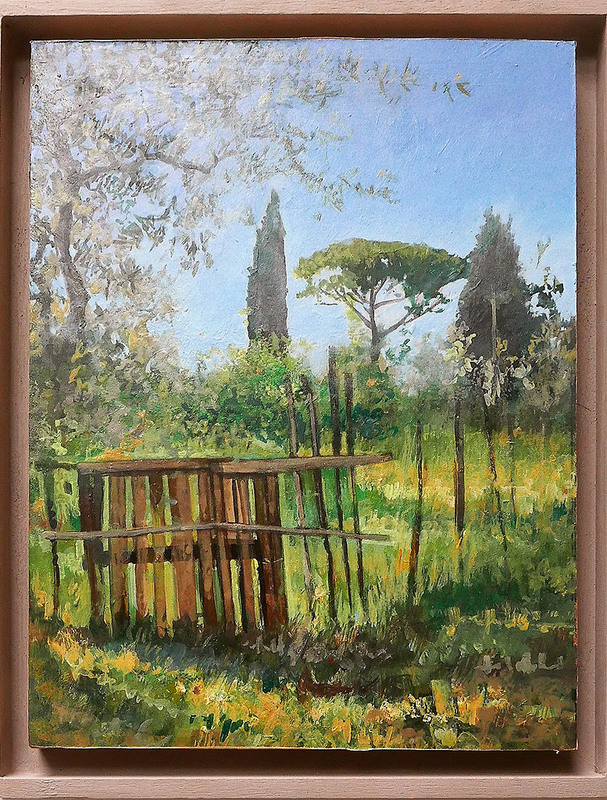 And this year one of the salons of Villa le Barone becomes Art Gallery with the exhibition of paintings by Arno Boueilh until August 30, 2018. Arno Boueilh is a young French painter, former student of Pierre Gilou, who shares his life between Naples and Paris. After a degree in Fine Arts at Paris I University, he joined the Beaux-Arts in Paris (Ensb-A) and Art-Décos in Paris (Ensad). When he left the Arts Déco, he decided to devote himself entirely to painting. Arno has won numerous awards in France and Italy, including the most recent in 2017 from the André and Berthe Noufflard Foundation. He has exhibited in various Art Galleries in France in Paris and in the provinces, as well as in Italy. 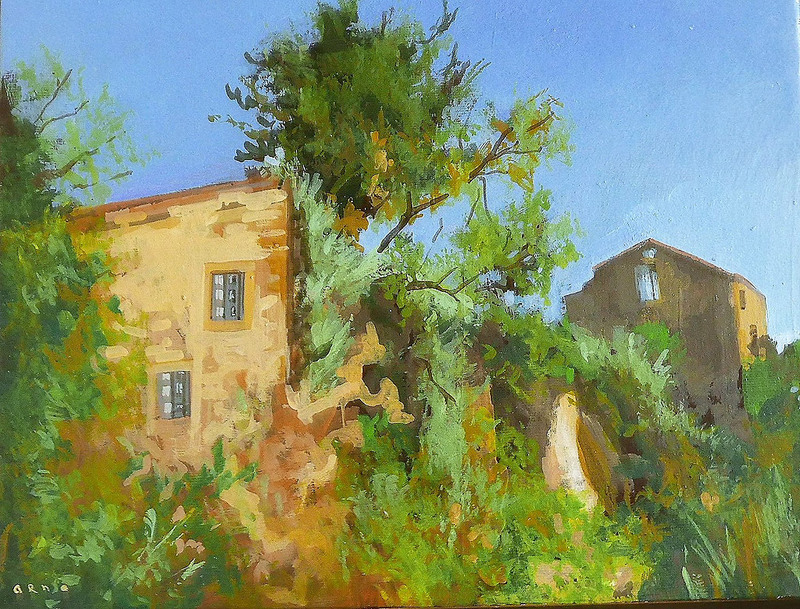 Hotel Villa le Barone is pleased to honor the works of the painter Arno Boueilh to the delight of his guests! A holiday in Tuscany that allows you to play sports, relax and discover the art of the Renaissance? At Hotel Villa le Barone, you can play tennis, swim in the superb heated infinity pool, use the fitness room and the fitness trail, go for a walk, go cycling… and there is a golf course nearby! It’s also a central location from which you can take day trips to discover the wonders of Tuscan art. Would you like not to have to choose between discovering the treasures of Tuscan art, playing sports or relaxing? Then, come to the Hotel Villa le Barone. 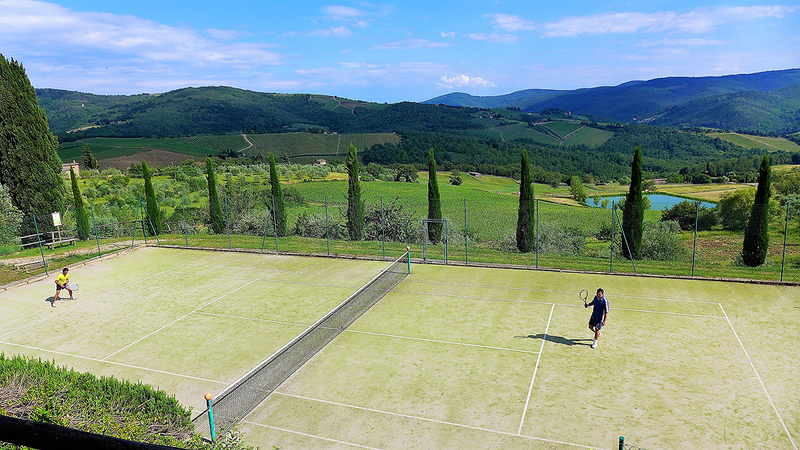 You will find a superb tennis court with spectacular views of the Chianti hills. No need to bring your rackets and balls, they can be provided for you. You can also swim in the heated 17meters infinity salt-water pool (so without the inconveniences of chlorinated pools). Moreover the panorama from this pool is stupendous. 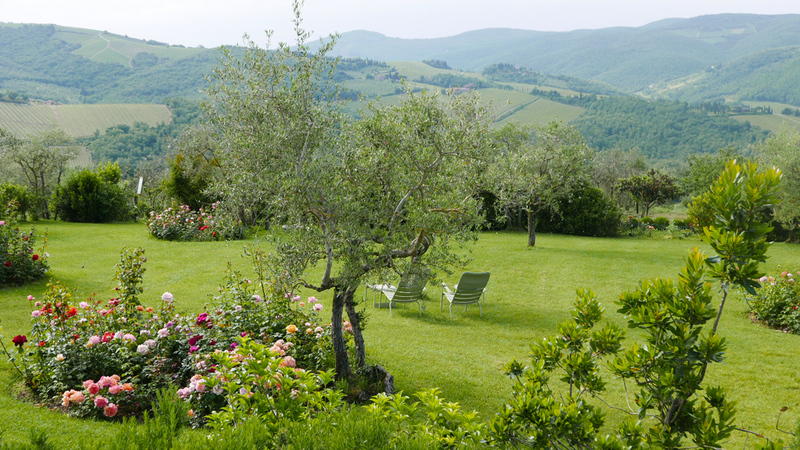 Just lie down, enjoy the Tuscan sun, immerse yourself in the beauty of the rose beds, dream while listening to the birdsong or to the bells of the Romanesque church of San Leolino: it’s Paradise! You can also use the fitness room with its bike and treadmill, again with a view… Furthermore there is a fitness trail with stations offering different exercises and giving the possibility of discovering various aspects of the gardens at Villa le Barone. We have also prepared for you hiking and cycling itineraries through the vineyards, olive groves and woodlands, to allow you to discover other aspects of Chianti and Tuscany. We have two mountain bikes available for our guests. And after your sports efforts, relax on one of our many terraces! We are waiting for you at Villa le Barone so you can relax, practice different sports, and admire the Tuscan art all at the same time! Quality has a price! Services have a price! January 13, 2018 | Chianti Holidays, Hotel, Tuscany | Comments Off on Quality has a price! Services have a price! Whenever we purchase a good or a service we all have an eye on the sales price. Normal! Hotel reservations are no exception to this, but we believe that sometimes things are getting out of hand! We are seeing more and more often hotel offers from Online Tourism Agencies (OTA’s) highlighting just the price per day or the discount rate rather than comfort, amenities, location, services rendered, food quality, … to the point that we are asking ourselves: are potential Guests buying price or are they buying what makes for a successful holiday, that is quality and services? At Villa le Barone we have chosen a conservatively clear view: do not make compromises with “quality, beauty and comfort” and establish prices which will enable us to carry on investing for continued “quality, beauty and comfort” over the years! Do we need a special communication strategy? Do we need branding effort? Do we need strategic planning? Should we go OTA crazy? … what we need, really, is to continue making our Guests happy by welcoming them in a warm, authentic Tuscan atmosphere, offering them modern comfort in a beauteous internal and external setting and surrounding them with an attentive, not over present service. Should we remind that all rooms are different, with period furniture and fresh fabrics from renowned manufacturers and that they are equipped with mini bar, air conditioning, Wi Fi and internet connection, safe, SAT TV (on free of charge request)? 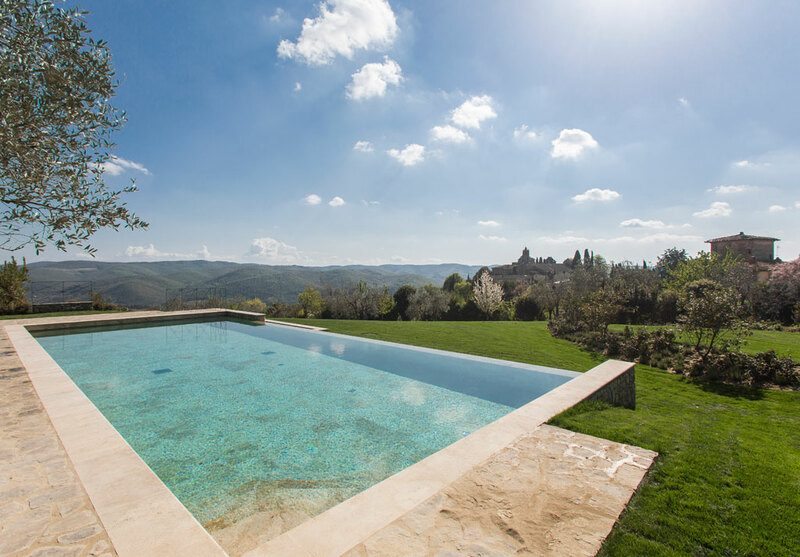 Should we repeat that we are surrounded by several acres of land and rose and olive tree planted gardens where a heated, salt water, infinity pool in travertine marble as well as a smaller one to sunbathe in are a continuous temptation? Tennis court, ping pong table, fitness centre and fitness trail are there just in case you might want to work up a very special appetite for evening dinner where three courses of different Tuscan specialties, often cooked with our own staple products, are served every night together with local Chianti wines. Need a soft drink while at the pool? Need a whiskey before dinner? Need a Grappa after dinner? … two honor bars make you feel really at home while you pour yourself what makes you happy. Would you really rather have a 47.79$ discount … or all of the above packaged with the friendly smile of the ladies at the Reception? It’s for you to choose! Bouquets of cut flowers from our garden are welcoming our guests in the lounges, the reception, the restaurant and also in the bedrooms! This is part of the charm of Villa le Barone! Making these bouquets is not easy, but it is a gift that Amira has. And in addition these are bouquets composed with flowers of our cutting garden and are of course different according to the seasons! In general, Amira chooses, to compose her bouquets, one, two or three kinds of flowers, with colors that harmonize with each other. Currently she has mixes the cosmos, that has so many shades of violets and purple, with the yellow of the rudbeckia. She also uses the dahlias of different types and colors, pompon, single, decorative…, now in full bloom. In the spring we will pick up the tulips, then the roses! In summer we will have gladioli and sunflowers! But flowers are not enough to make a bouquet. 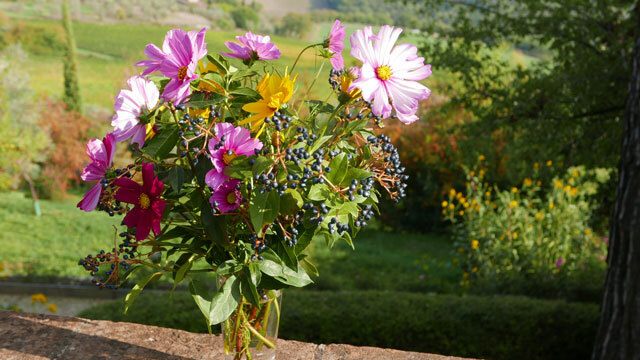 Then foliage, with or without berries, is added to the bouquet … This foliage brings out the beauty of the flowers. Currently, it is the Viburnum tinum with its black berries which is mainly used. In spring it will be the same, but in bloom! Of course the choice of vase is important to stage the cut flowers bouquet, and we have a whole series of different vases to use depending on the size of the bouquets. 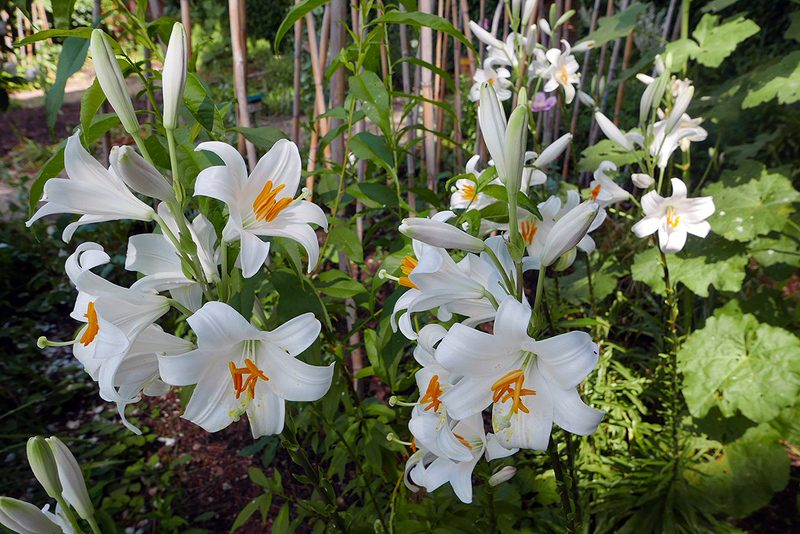 All flowers come from our cutting garden that we cultivate with passion … and that our hosts can visit if they wish. At the restaurant it is Giulia who makes the bouquets and the centers of tables, and we will present them to you in another article!